There are many things that someone who owns a business should take care of, and security should always have a high place in the list of priorities of every business owner, no matter if he owns a large store, a factory, a garage or just a small office where he works alone. In order to maximize the security level of a business place, it's important to make sure that the security needs are handled by a licensed, professional technician, who knows how to do the job right and has an access to the necessary equipment, as well as the necessary knowledge and experience. 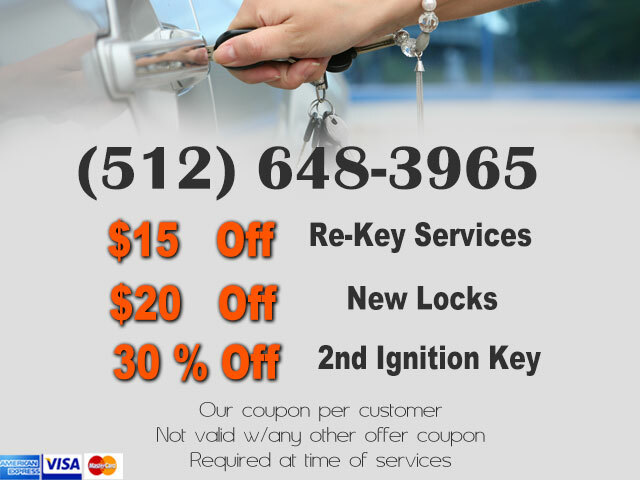 Whether you are looking for a massive security upgrade made for a large business or just a fast and relatively simple service, such as a lock rekey or a lock change, you can get everything provided right away by Austin TX Locksmith 24 Hour. We have you covered 24 hours a day, just call us at (512) 648-3965! A great lock that will provide the security level that you need for your business doesn't have to be the most expensive lock that you will find. Each place has its own individual needs and our techs know how to estimate them on the spot. We will be more than glad to help you to combine top quality with affordability! If you are looking for an emergency service, such as getting a safe hacked or unlocking a door for an employee who forgot the keys inside the building, you can count on our 24/7 availability. We will get to you within 20 minutes from the moment you contact us. 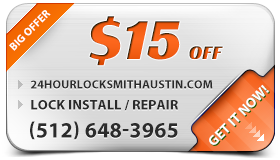 Don't compromise on your business' security – call Austin TX Locksmith 24 Hour today at (512) 648-3965!